Nobody enjoys dealing with passwords, but 1Password has been the password app I’ve found easiest to use over the years. Now, finally, it’s delivered a preview of 1Password for Teams so you can fully use it on a company level (or within your family), with the right controls in place for managing password vaults with co-workers. In development for nearly two years, it’s the company’s first foray into offering a Web interface for the product, its own syncing engine and a way for 1Password to fit into larger teams’ workflow. It’s the first time you’ll be able to fully use 1Password in a team environment — shared vaults existed before, but they were fiddly and difficult to manage across large groups. Inside your team you can have as many vaults as you like for different departments. 1Password’s CTO, Dave Teare, told us that the company created vaults for its own customer service, development, social media and HR teams, so they’re able to offer access to just the things that people need. Launching into public beta today, setup involves creating a new account for your team, along with a new master password for your connected vault. The wizard suggests a Diceware password that’s easy to remember and makes you enter it a few times to be sure you’ve remembered. You’re able to invite guests into vaults and require them to only be able to auto-fill passwords but not view them at all, obscuring them from view at all times. Setup of the team features are incredibly easy for individuals. Once turned on and an account is created, your 1Password apps automatically attach to your new account and you can easily drag over the passwords you want into the new shared vaults. A new menu option also appears at the top left of 1Password for Mac which allows quick vault switching. Whenever you get access to a new vault, you’ll receive a push notification to let you know. It means that there’s a lot more control over what password goes where, too. If a team member updates a password it’ll be instantly synced with everyone, and one-time passwords will be made available across a team so everyone is able to log in. The same goes for when someone leaves a team. Remove them and their access vanishes immediately, so the passwords are safe and the vault can’t be opened even if they have a copy of it. The news also comes with one other big change — 1Password for Teams users can also access their vault via the Web for the first time, not requiring the desktop app to get at your logins. You won’t be able to create or update passwords yet, but that will come eventually, according to Teare. 1Password for Teams is the company’s first subscription product, since it previously only sold desktop and mobile apps, so once the beta program is over it’ll cost a monthly fee to use. It’ll offer tiered pricing depending on the size of your team, but 1Password isn’t quite sure how that’ll work yet and plans to take feedback over the course of the beta to decide — it did tell us that pricing will start at $4.99 per user, per month. 1Password’s team product comes at an interesting time for password managers. LastPass just sold to LogMeIn for $110 million, which made some users panic and look for a new home for their credentials — 1Password finally offers a solid alternative for those working with a wider team. It also means it’s able to offer its services to businesses directly for the first time and secure some of that space. The alternatives, like Meldium and Dashlane are significantly pricier. Since 1Password for Teams is only a preview right now, you’ll need to jump on the waitlist to get access. You can reserve your team’s URL now and 1Password will be letting people in gradually to ensure it scales well. It’s worth noting that 1Password for Teams will only work on Mac and iOS during the beta program. Windows and Android updates will come later on in the process. If you don’t want to use 1Password for Teams, don’t worry, the desktop app won’t be changing any time soon and you won’t be required to sign up if you don’t want to. 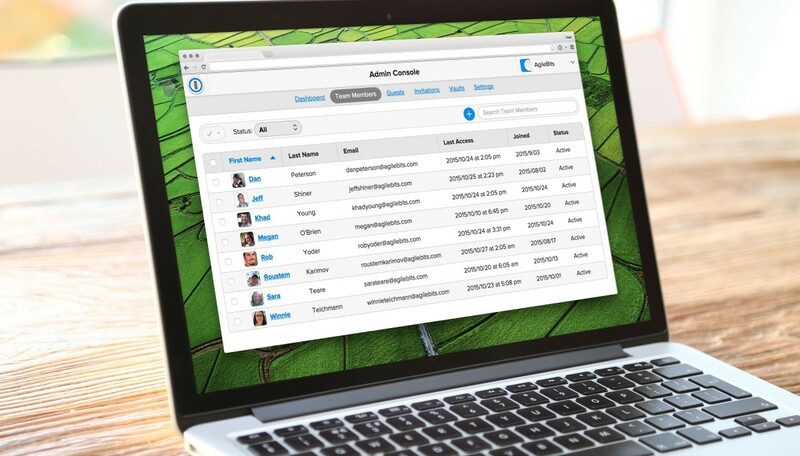 I’m excited about the new service — in my previous jobs as a network administrator at larger companies I found password managers cumbersome and annoying to deal with, so 1Password’s new features might finally offer an awesome alternative to what’s out there.